We proudly offer the best quality made in the USA baby bibs online. This particular beauty is made from premium quality terry fabric that looks great and will stand the test of many washings. It is a full sized bib with easy on & off velcro closure. 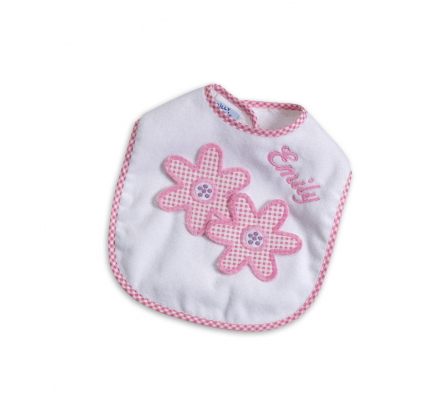 This pretty as a flower bib is decorated with a beautiful Two Flowers applique and comes personalized with baby's name.